Napa STEM Academy is excited to offer an innovative and creative mix of Summer Camps for 2019. Our camps encourage critical thinking, science literacy, and challenge our students to tap into their creative genius through collaborative play: they won’t even know they are learning! 10:00 am. to 4:30 pm. Kids love group challenges! This party involves guests being placed into a room where they are given a series of clues and problems to solve that lead them to solving a mystery and "unlocking the door". You pick the theme and difficulty level. Kids are never actually locked into a room - just told they cannot touch the door until they solve all the clues. There is a friendly "host" in the room with the kids at all times. We do have adult versions of this game - call for details. NOTE: Napa STEM Academy will need the parent’s of your invited guests to sign a Liability Waiver Form. Please print and send with your party invite. Parents can bring with them to the event. VEX/IQ is an intermediate robotics system that we offer at Napa STEM Academy. Kids can build, program, and control their own robots. Our educators not only teach the system, but also host Napa Valley Robotics Team practices. Come join the fun! The goal of our personalized tutoring isn't just to boost test scores and grades; it's to boost confidence! Our expert tutors create a unique plan for each student and will adapt to their skill level and learning style, ensuring your child understands difficult concepts and achieves their goals. Celebrate with innovation! Throw your child's next birthday party at Napa STEM Academy. Whether it's an Arts and Crafts party, a Robotics and Coding event, or if you want to fly our Drones, your Napa STEM Academy birthday party is sure to be a hit. 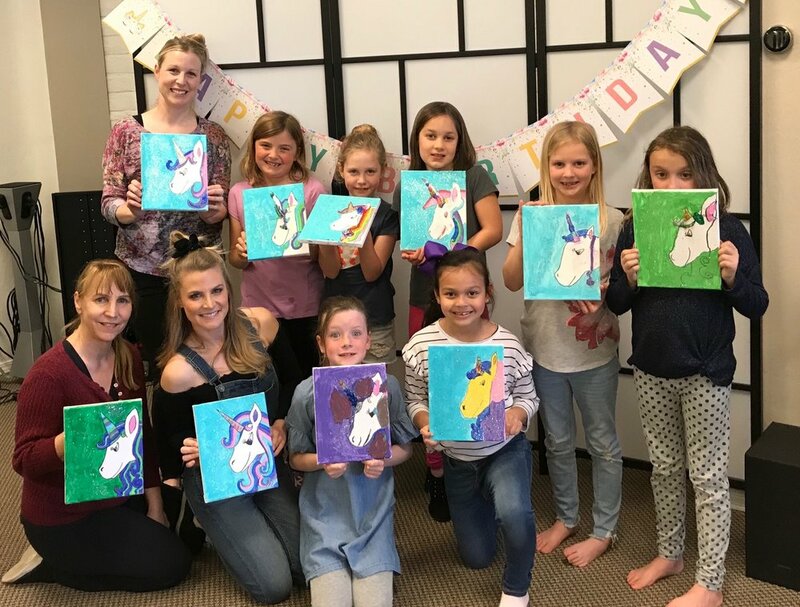 Let the whole family's creativity flow with our Family Paint Nights! Enjoy a fun hour of art instruction with Connie Rodriguez together with your child or children. Enjoy a night out while your kids grow their imaginations with the staff at Napa STEM Academy. For less than the cost of a babysitter, your kids will be building, creating, learning….. or just chilling! This class is not about playing Fortnite. It is about learning to design, plan, shoot, edit and produce a high quality gameplay video suitable for a serious YouTube channel upload. Of course - to get the video footage to edit - we will play Fortnite. This 90 minute class is limited to 4 students at a time to ensure we can focus the instruction on high quality video and commentary. Program drones to complete games and solve problems! Using curriculum from Tynker and drones from Parrot, your kids will complete a 6 class course that includes basics in programming and problem solving while having a blast playing with drones. We currently teach a Coding with Drones class on Friday evenings. Come fly and code drones with us!! This class is currently taught on Fridays 3:30 pm. to 4:30 pm.